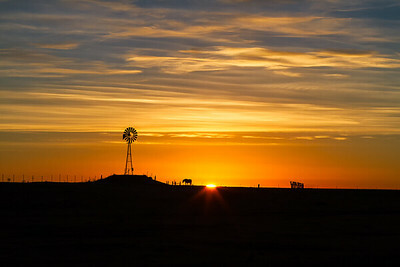 A sunrise at Springs Meadow Ranch on Northern Colorado. The horses moving to food. 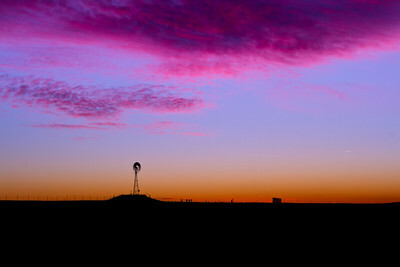 This windmill is taken in Nothern Colorado not far from the Rawhide Power Plant. 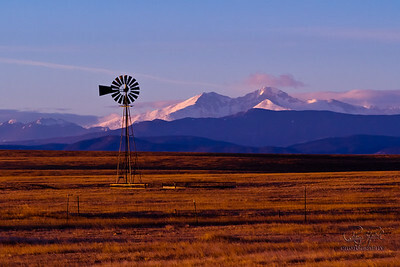 It was taken with a long lens to get some compression between the windmill and the mountains. As you can see the sun had only been up for 10-15 minutes and is only hitting part of the mountains. Longs Peak in the background. It was a windy morning but the windmill wasn't released to pump water. Still makes for a wonderul site. This was taken the last week in December 2010. It is in Northern Colorado between Fort Collins CO and Laramie WY. 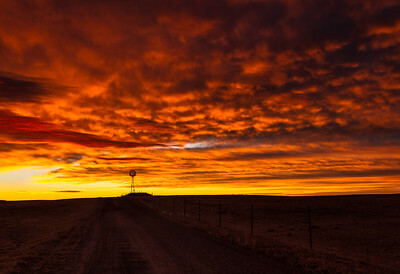 The sunrises in December are the most colorful in Colorado. 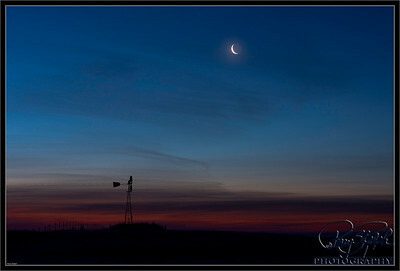 This had some high level clouds but little near the horizon. 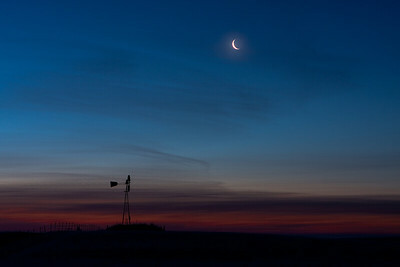 It was windy this morning but it is hard to tell in the photo although the windmill is blurred some. 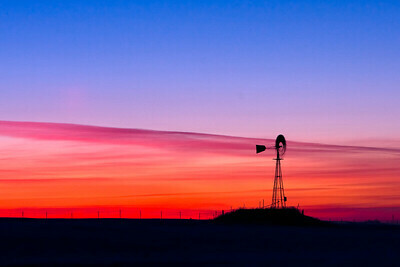 Many windmills are on private property so i took this photo from the dirt road. The colors were brilliant this morning. it made for a nice result. 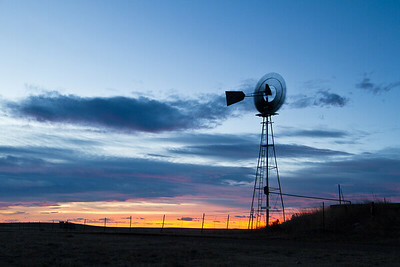 In Northern Colorado, there are a number of windmills outside of Fort Collins. One at the Meadow Springs Ranch provides a nice spot.